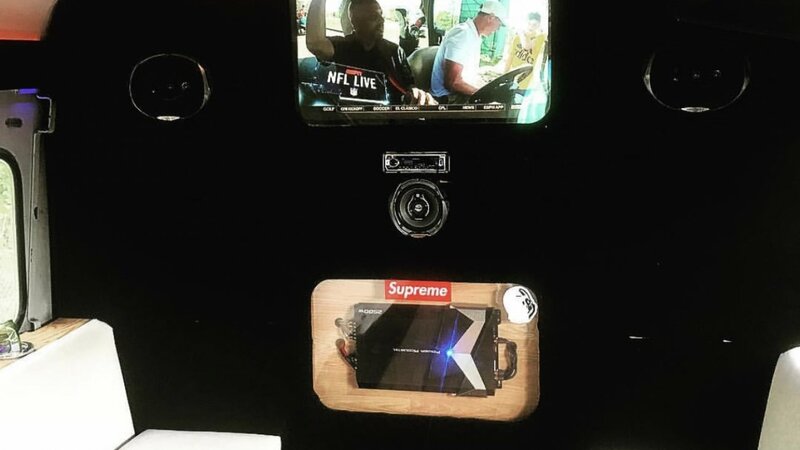 Driving the hottest events in the Triangle! Call 919-886-8506 Now to Reserve! 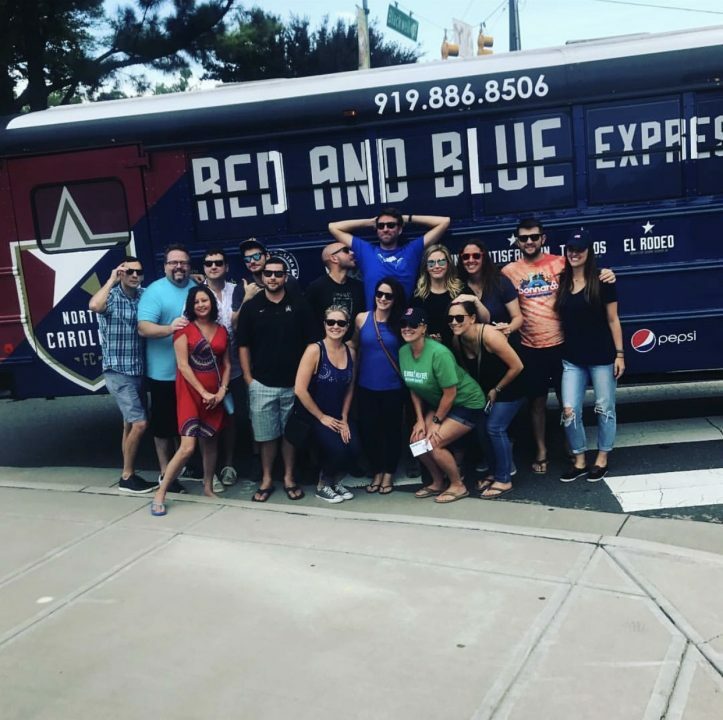 Locally owned and operated since 2015, Oak City Shuttle provides safe, reliable, comfortable, and affordable transportation in the Raleigh, NC area & surrounding area in the Triangle. 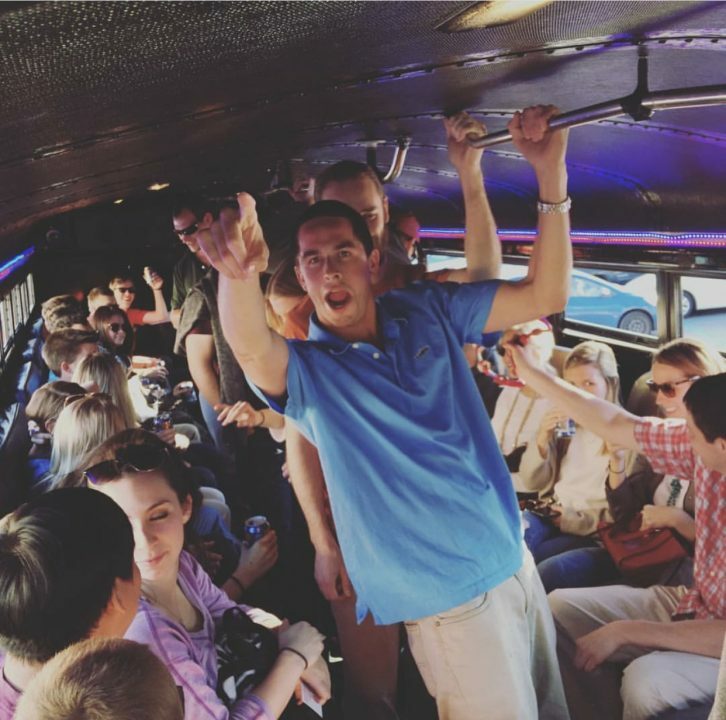 With our reliable party buses, we help people like you make your group events a stress-free success. Our team of friendly drivers are ready to take you and your party wherever you need to go. With Oak City Shuttle you can rest assured knowing a professional private driver will be there on time to pick you up and take you home safely. We operate on your time, not ours. 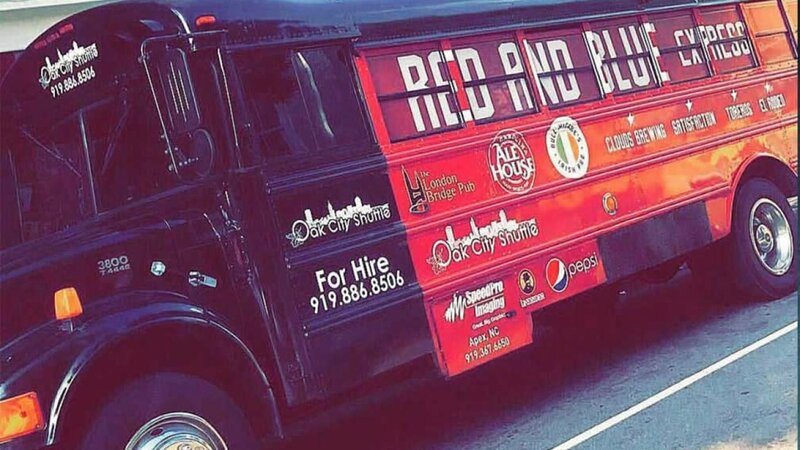 Oak City Shuttle operates the coolest, cleanest party buses in Raleigh. 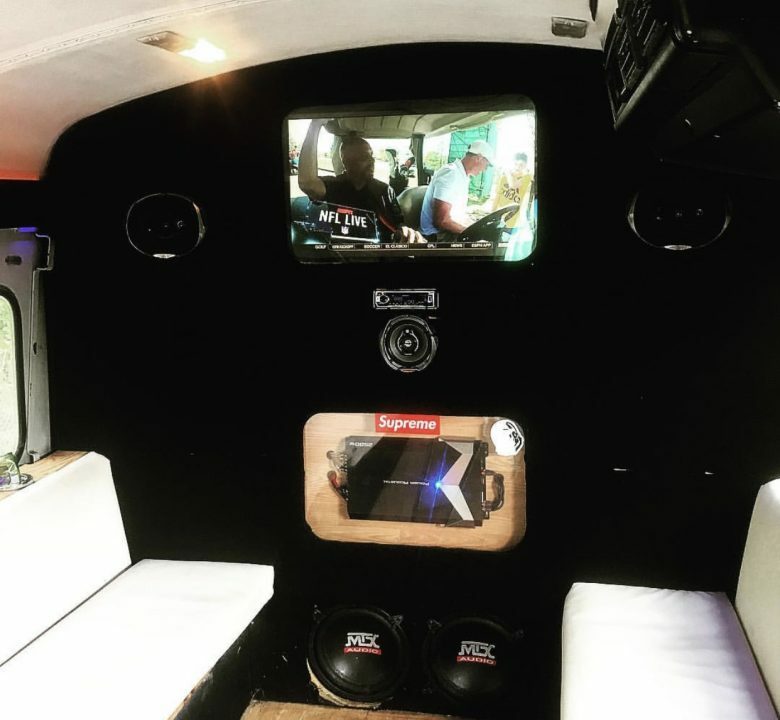 Make your ride awesome with our built in coolers and entertainment systems. 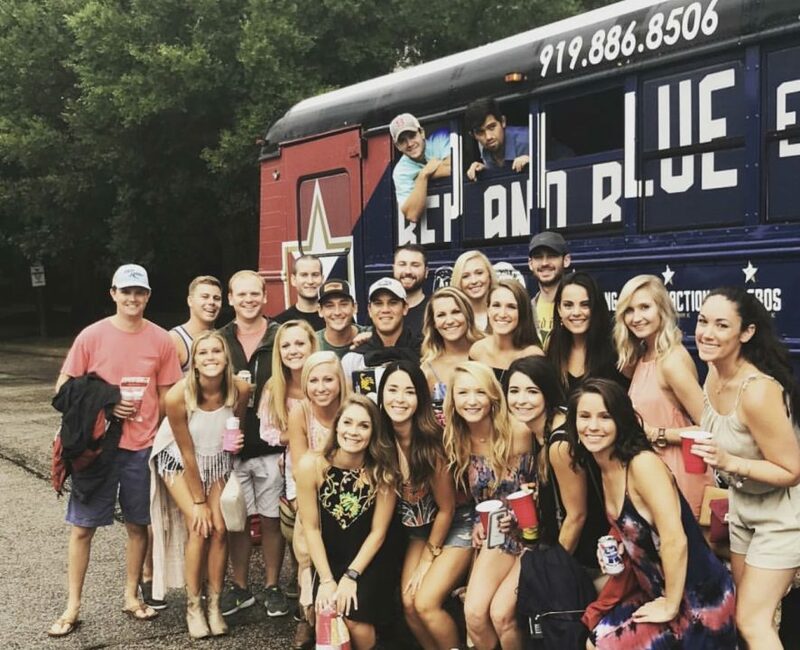 We have multiple buses with the capacity up to 40 of your friends so there’s room for everyone. 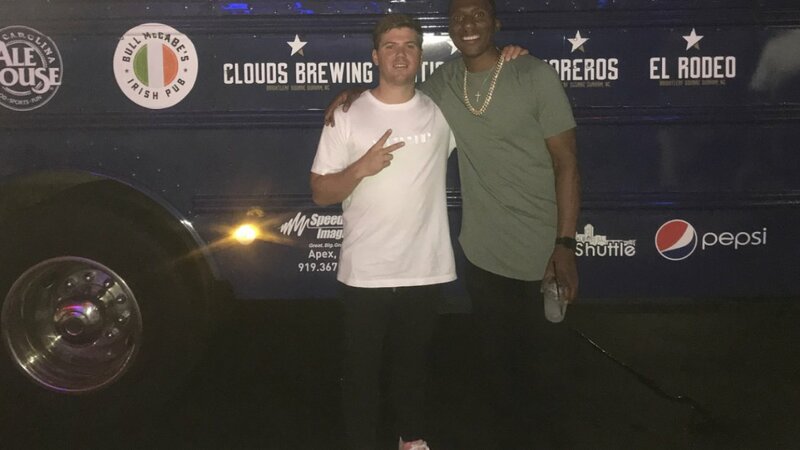 At Oak City Shuttle, we believe everyone should have access to the most amazing transportation experience in the triangle. We have plenty of pricing options to accommodate any size party. 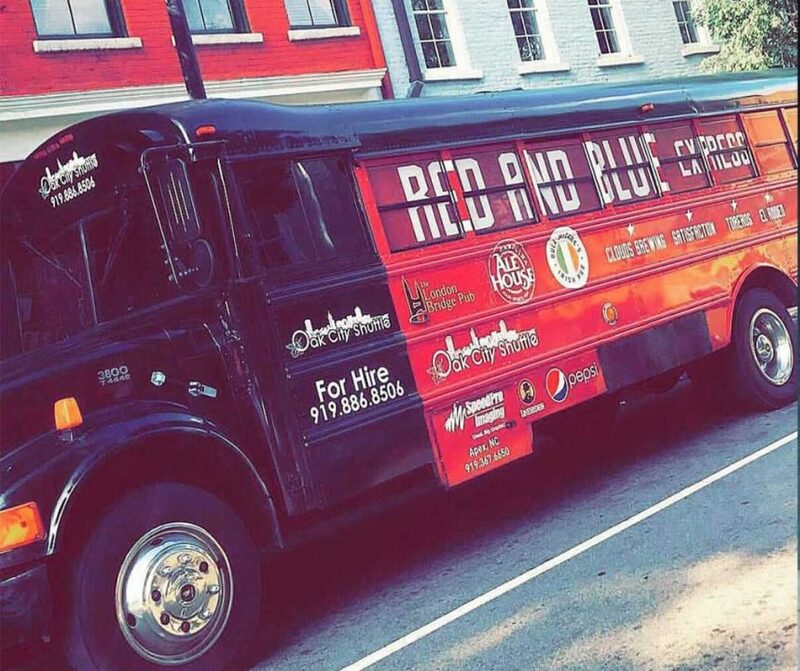 Our mission to be the best party bus in the triangle doesn’t stop at transportation. We’re from the Triangle and know the triangle. We’re happy to make suggestions for hotspots after the party or even the party itself. 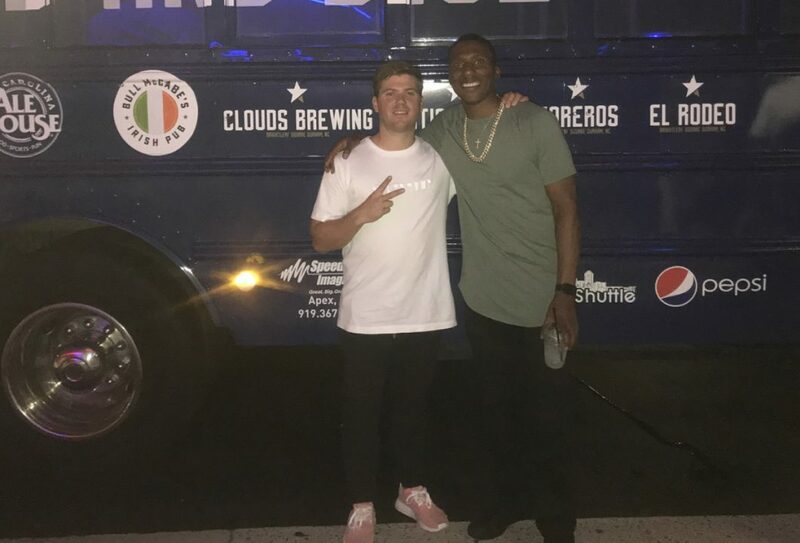 My organization hired the Oak City Shuttle for an event and they provided excellent service! We used the shuttle to transport guests to and from the venue. Overall it was a great experience. The best ride you can get and the best time you could have. Destination anywhere. Got a big trip lined up for the nascar race in Martinsville with Philip Williams and Walt Webb. Oak City Shuttle is a great shuttle service. The van is very spacious and great to ride in. I’m not from Raleigh, but every time I do come this is the only shuttle service I use. Our driver was very friendly and lenient. Oak City Shuttle is the best shuttle service I’ve used in Raleigh. 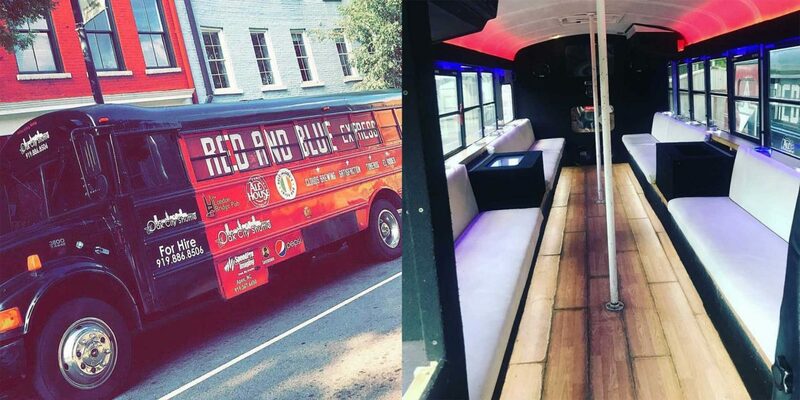 When i first moved here, I came across a few other party van and bus services, but after I got in contact with Oak City Shuttle and used them for an event, I found myself only booking with them for all of my events. Sam is always flexible and accommodates to all of our needs. Oak City Shuttle has also helped me with large scale events such as shuttling almost 200 people from a hotel to downtown for a function. This company is amazing and I haven’t used another shuttle service in over two years and I don’t intend to ever change that! Guys Sam was seriously the best! I was a passenger on the bus this past weekend as we traveled from a wedding to the reception. Sam was extremely nice and accommodating to our group!! He even pulled over to let us take pictures on the Boylan Bridge! I can not recommend him enough! We hired oak city shuttle for our wedding and we could not have been happier with the experience. Sam was personable and easy to work with. He even got out and helped direct traffic when we were taking photos at Boylan bridge. We ran out of beer but he took the initiative to go get more for us while taking pictures. He made sure we had a great day. My wife and I used Oak City Shuttle for our wedding in June 2018. OCS was much more reasonable for our budget compared to other transportation options. They were also very easy to work with and getting all the accommodations set up was a breeze – everything was on time and the drivers were courteous and helpful. The buses we used were nice, and despite having a good-sized crowd on the bus after the reception, the coolest I felt all day was on the Oak City bus – thanks to its fantastic air conditioning! (it was a majority outside wedding, so I was ready to cool off). Big thank you to Sam and Oak City Shuttle team for help making our wedding day awesome! WE FUN. GET ON THE BUS!